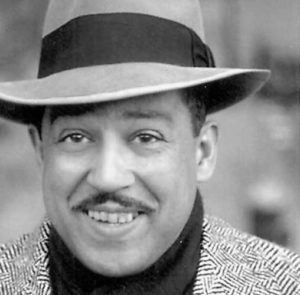 Langston Hughes was a celebrated black American poet who was considered a poetic innovator especially with his so-called jazz poetry. But I know him most through his epigrammatic small poems that pack a punch so much bigger than they are. His poem Final Curve stopped me in my tracks when I discovered it today. What a confronting idea. A coming back to oneself, finally. But I wonder does it ever end, this meeting oneself? Is there a time when there are no more corners, blind or otherwise? When life becomes a straightaway? Have I turned that corner but walked right by myself only to get caught in more and more corners of self-pity and self-abuse? Or is there a moment already when I have met and recognized myself at my deepest and where I proverbially turned the corner? Lots, from this tiny huge poem, to consider. Especially on a rain-lashed day in the Northwest, gray in the sky, gray in my brain. A day when I feel, as a poet in my poetry therapy workshop wrote last night: The wave is high. And my soul is cold. Ouch. The solace in both poems. A coming home. A long exhale. I wish for this. This entry was written by Richard Osler, posted on January 23, 2018 at 9:11 pm, filed under Poetry and tagged Derek Walcott, Langston Hughes. Bookmark the permalink. Follow any comments here with the RSS feed for this post. I guess Hughes means you are going round in circles. Or eventually, not! Hope you are warm and well! All best!